Dr. Tina Comes is an Associate Professor and Deputy Director at the Centre for Integrated Emergency Management (CIEM), Norway, where she leads a group on Sensemaking and Decision Support. Tina received her MSc in Mathematics from the University of Erlangen-Nuernberg (Germany), and a PhD on Distributed Decision Support for Emergency Management from the Karlsruhe Institute of Technology (Germany). After her PhD she headed a research group on Risk Management at KIT, worked for the Economic Impact Assessment Group at the Centre for Disaster Management and Risk Reduction Technology and the KIT Supply Chain Lab before joining CIEM. Tina has worked in various national and international research projects. She frequently publishes papers in scientific journals and peer reviewed conference, and has organized several special issues, conference tracks, and workhops to promote the topic of decision support for disaster management. Since 2012, Tina is member of the ISCRAM board and chairs the ISCRAM Events Committee, and will be Conference Chair for ISCRAM2015. My Research: The transition to more and more digitalized societies is an opportunity for disaster management. To support decision-makers in this new era of communication and collaboration my research aims at bridging the gap between formal analytic models and understandable, ready-to-use evaluations with a specific focus on strategic decision-making, coordination, and humanitarian logistics. To this end, I design ICT systems that enable decision-makers to collect, process, communicate, share and evaluate data from various sources and to translate the data into information that they need to make informed decisions. Fields of application include resilience and vulnerability assessments in organizational networks, disaster relief supply chain management and risk management. 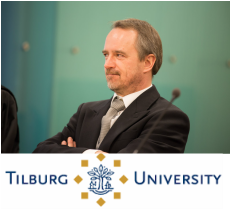 Dr. Bartel Van de Walle is Associate Professor at the Department of Management, Tilburg School of Economics and Management at Tilburg University (the Netherlands) and visiting professor at Harbin Engineering University (China). He is also a member of the Tilburg Sustainability Center. He served as a staff advisor on science policy to the Flemish minister of science and innovation in 2010-2011, and is board member of the Flemish Institute for Technological Research (VITO) since 2010. Bartel received his PhD in Applied Mathematics and Computer Science from Ghent University (Belgium). His dissertation research was on decision support for individuals and groups, which is still at the core of his current research interests at the intersection of information and communication technologies and the (humanitarian) crisis management domain. These interests have lead him to work for various European or UN funded research and consultancy projects in Africa, the Middle East (occupied Palestinian territories and Jordan), China, Russia, as well as in several universities and research labs in Europe and the USA. Bartel has published nearly 100 reviewed papers in proceedings of international conferences and journals. He has served as a reviewer, advisor or consultant for the American, Dutch and Flemish National Science Foundations, the European Commission, and the United Nations (ISDR, OCHA and WHO). Bartel co-founded the international Information Systems for Crisis Response and Management (ISCRAM) Community in 2004, and has since organized special sessions, tracks, international workshops, conferences and PhD Summer Schools in Europe, the USA and China. Bartel was elected founding chair of the Board of the ISCRAM Association, established as an international non-profit organization in Belgium in 2009. 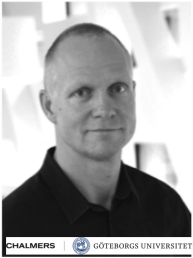 Jonas Landgren is assistant professor at the department of Applied IT, Chalmers University of Technology. He holds a MSc in informatics (1998) and a Ph.D. in informatics (2007) from University of Gothenburg, Sweden. Jonas is head of the interaction design division at the department of applied IT at Chalmers University of Technology and University of Gothenburg. Jonas' research is focused on the use and design of mobile technology and services for crisis and emergency response with specific attention on how to design information technology to become intertwined in and comply to time-critical, boundary spanning and distributed work practices. During the last few years, Jonas is involved in regional and national research projects on situational awareness and sensemaking in complex situations, where professionals make use of social media, legacy systems and mobile devices as a design material in order craft and shape a comprehensive view of evolving and dynamic situations. His work is influenced by human centered design, ethnographical studies, and innovation processes. The research is run in deep collaboration with crisis response organizations such as the municipality fire & rescue services, county administrative boards, and the Swedish Civil Contingency Agency (MSB). Jonas is involved in the CSCW, HCI and the ISCRAM-community (conference organizer 2009, and ISCRAM secretary 2009-2010) and regularly runs design-workshops at the annual ISCRAM-Summerschool. 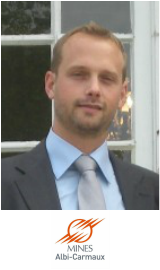 Dr. Matthieu Lauras is an Associate Professor at the Industrial Engineering Department of the University of Toulouse – Mines Albi, France. He is also an Affiliate Professor at Toulouse Business School, France and co-funder of the Agilea consulting and training company, France. Matthieu received his MSc in Industrial Engineering from the Ecole des Mines Albi (France), and a PhD on Performance Assessment of Supply Chain Management from the Institut National Polytechnique de Toulouse (France). After his PhD, he worked as Supply Chain Project Manager for a European pharmaceutical company. His job mainly focused on warehouse and transportation improvements. He joined the Industrial Engineering Department of Mines Albi in 2005 to develop Supply Chain Management decision support systems for both industrial and emergency management contexts. He has worked in various national and international research projects. During the last decade, he has published number of papers in journals and international conferences on the field of decision support systems for commercial supply chains and humanitarian supply chains. Volatility of demand, imbalance between supply and demand and disruptions are all factors that affect supply chains and call for a high level of resilience and agility. But organizations have also to ensure the efficiency of their decisions in order to stay competitive. Supply Chain managers therefore need decision-making support systems that would enable them to make the most optimal trade-off decision from an integrated perspective (efficient/lean and agile/resilient/effective). My research focuses on this trade-off by proposing concrete tools able to manage problems of: (i) routing/location/allocation; (ii) planning/scheduling; (iii) coordination and process orchestration, (iv) performance evaluation. 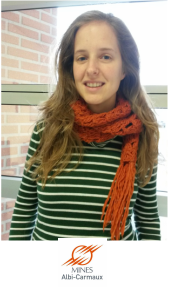 Laura Laguna Salvadó is a PhD student at the Industrial Engineering Department of the University of Toulouse – Mines Albi, France. Laura recived the Industrial Engineering degree from the same University on 2013. She also holds a Bachelor in Air Navigation Systems from the Polytechnic University of Catalunya, Spain. During her studies she worked for Airbus Company in the R&D department. She has collaborated with Medecins Sans Frontieres in the Brussels Head Quarters. She was involved in the integration of the project UniField, the new ERP system that the NGO is currently deploying. The project aims to improve and uniform the MSF field supply and finance processes. Human made and natural disasters impact is growing year after year, and the difference between funding and requirements is increasing. Laura’s research is focused in improving the performance of the organisations throw Humanitarian Supply Chain Management, collaboration and decision making support systems. Dr. Tina Comes and Dr. Matthieu Lauras support her work. Bert Brugghemans, Msc, is senior fire chief for the City of Antwerp Fire Service and is member of the board of directors of the Fire Service. Bert graduated as Master in Health Care Management and did a postgraduate in Operations Management at the University of Leuven (2007) and in Disaster Management at the University of Antwerp (2013). He started his career in 2000 in the fire service as a voluntary fire fighter and EMT. He has more than 13 years of hands on experience in emergency and crisis management. During his career he has evolved from a narrow focus on firefighting to a broad transdisciplinary approach to crisis and emergency management. Bert’s work always focuses on the intersection of science and practice. His field of expertise lies in complex interactive processes like crisis and emergency management, command and control, digital volunteering, social media, crisis intelligence and decision-making in complex situations. He did research in these domains, published different peer-reviewed papers and gave several keynote speeches for European and international institutions and conferences. Olga Vybornova has received her PhD degree in computational semantics in 2002. Now she is a researcher in Université Catholique de Louvain (Belgium) at the Center for Applied Molecular Technologies (UCL-CTMA) with expertise in knowledge engineering, ontologies and semantic web, artificial intelligence, computational semantics, multimodal data integration. 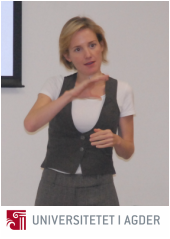 Olga's research focuses on ICT for crisis management and security applications. She has participated in various FP7 probjects on innovation management practices supporting security end-users. Clicke here for a complete CV. Kenny Meesters, MSc, BEng, is a researcher at Department of Management, Tilburg School of Economics and Management at Tilburg University (the Netherlands). He has received his bachelors degree in Business Engineering from Fontys University of applied sciences (Eindhoven, Netherlands), specializing in the use of IT to streamline business process. After several projects in South Africa, India and the Netherlands, he pursued his master’s degree in information management. He graduated in 2013 on the topic of Impact Evaluation for Information Management Tools and Support in Crisis and Disaster Response. He obtained a second master’s degree in strategic management on the topic of Strategic Alliances in the humanitarian NGO community. Kenny is part of the ISCRAM summer school organizing team and active as a member in the Standby Task Force. Furthermore he is consulting NGOs on user-centered development of information system, among others CARE and Cordaid (Haiti). In his research Kenny focuses on looking ‘beyond the hype’. Using his background in business engineering and IT development he helps organizations to understand the difference between the potential of technology and the impact on the organizational performance. Building on in-field experiences, scientific literature and up-to-date knowledge on technology development and trends, his research aims to answer how organizational can see and leverage the potential of technology in an efficient and effective manner. Marc van den Homberg is the leader and co-founder of the ICT for Development (ICT4D) team at TNO, the Dutch Research and Technology Organisation. Marc implements with his team pro-poor ICT innovations for sustainable social and economic development in emerging countries. Marc works as a senior consultant on improving networked organizations through ICT and media, information management, information creation, and coordination and collaboration mechanisms in the disaster management, disaster risk reduction and comprehensive approach/civil-military interaction domain. Marc is currently working with Cordaid, one of the largest development organisations in the Netherlands, on an innovative disaster management information system, especially for flood prone areas in South Asia. Marc has short term field experience in Burundi, Burkina Faso, India, Nepal, South Africa and Vietnam. He is a technical team member of the NATO HFM 241 exploratory team on Social Media and Information Technology for Disaster and Crisis Response and reviewer of the Disaster prevention and management journal. In relation to his duties within TNO, Marc is a reserve officer in the Dutch 1 Civil Military Interaction Command. Marc holds an MBA from the Rotterdam School of Management (specializing on entrepreneurship in emerging economies) and a PhD in physics from Delft University of Technology. Marc started his career at the R&D department of the incumbent operator in the Netherlands, KPN, and at BASE, the Belgian daughter of KPN.